The Global Times editorial board said that President Obama’s foreign policies upon first taking office in 2009 gave hope to the world, before claiming that “he has become more self-contradictory” over time. 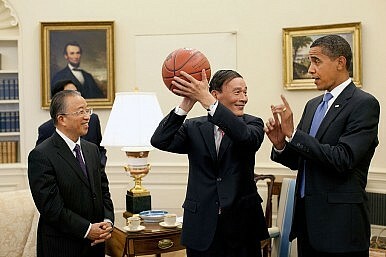 The tabloid noted that the Obama administration had accepted the “idea” of having a new type of major power relations with China, but claimed it “hasn’t accepted the connotations” of the new concept. The Global Times is known for taking a more hardline and nationalistic editorial line then some of China’s other mainstream newspapers. Xinhua, for example, did not carry the GT editorial on its English-language website, nor did the People’s Daily.